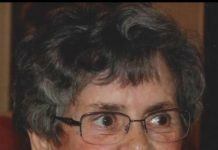 Shrewsbury/Worcester – Marion E. (Zdanovich) Fagan, 98, passed peacefully Wednesday, Oct. 19, 2011. 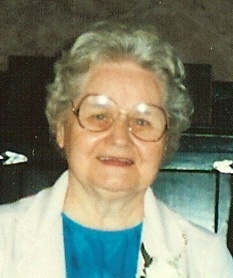 Her husband of 59 years, Francis T. Fagan, passed in 1999. She is survived by two sons, John M. Fagan and his wife Judy of Shrewsbury and Francis T. Fagan of Shorewood, Illinois; six grandchildren, Thomas, Todd, Beth Zastawny, Joseph, Michael and James Fagan; eight great-grandchildren; and several nieces. Three brothers, Henry, Michael and William, and one sister, Lillian Bartkus, all predeceased her. Mrs. Fagan was born Aug. 8, 1913 in Cambridge, the daughter of the late Alexander and Ansastasia (Pecevich) Zdanovich. She was a graduate of Commerce High School and lived most of her life in Worcester. She was a member of Worcester Chapter 4 DAV Ladies Auxiliary. She adored her family, was a devoted Red Sox fan and loved to read. All are invited to calling hours Sunday, Oct. 23, from 2 to 5 p.m., and concluding with a prayer service at the Roney Funeral Home, 152 Worcester St., North Grafton. She will be laid to rest privately with her husband at Worcester County Memorial Park in Paxton. The family asks that you remember her with donations to the Janet Hennessey Fagan Memorial Scholarship Fund, c/o Joliet Jr. College, 1215 Houbolt Rd., Joliet, IL 64031 or locally to John Fagan, 6 Cider Mill Dr., Shrewsbury, MA 01545, who will forward them to the scholarship fund.